Great! You’ll want to come to our weightlifting club practice and maybe even join our USA Weightlifting sanctioned team, the first and most successful competitive weightlifting club in Boulder. Team Director and USAW National Coach, Randy Hauer with over 30 years of experience supervises programming, practices, and meets. During his eight years as head coach, Randy has qualified and sent athletes to National Championships, American Open, Youth Nationals, Junior Nationals, University Nationals, Masters Pan Am, Masters World, Masters National and Masters American. Weightlifting Club practice is 6:30-8pm weekdays, 11:30-1:00 Saturday mornings. Hours are also available during the day by signing up for Sports Performance times. 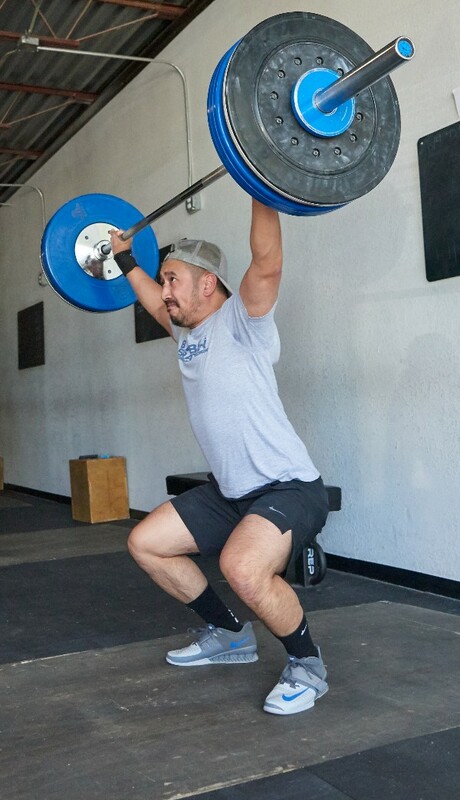 Randy brings an eclectic mix of Olympic Weightlifting, kettlebells, bodyweight and traditional barbell movements to bear when programming athletes. We have high school, college, professional and masters age athletes who have all experienced great improvements in performance, injury resistance, training capacity and resilience simply by adding strength training to their regimens. These days, weight training for sports performance is not just the esoteric province of collegiate and pro athletes nor is it, “just an option,” it is absolutely an integral requirement for health, performance enhancement and injury prevention.Sports Performance hours are available during the day or during Weightlifting Club hours.